Here at Bourne Car & Van Hire, we want to try and help ensure we keep your vehicle running costs to a minimum and by providing regular servicing and maintenance can enable this to happen. Opting for a routine service allows optimum performance, greater economy, increased safety and a lower risk of unwanted breakdowns. We have been servicing vehicles in the Lincolnshire and surrounding areas for many years so the next time your car service light illuminates then why not use the professionals here to receive a first-class service from our team of dedicated technicians. Whether you require diagnostics or perhaps a new exhaust, we can provide you with a wide range of vehicle checks all at an affordable price. A lot of drivers are fooled into thinking that you need to use the main dealer for your servicing, but since 2003 you are fully entitled to choose which garage you use to carry out your car service without it invalidating your original manufacturer’s warranty. At Bourne Car & Van Hire, we only use original equipment quality parts to ensure your warranty remains intact. Did you know that failure to keep your car regularly serviced as per the manufacturer's guidelines can potentially cause severe damage to vital parts of your vehicle as well as it reducing the resale value? 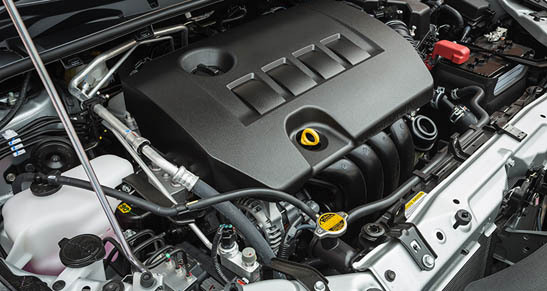 We highly recommend you have your car serviced regularly as it will reduce the risk of unwanted breakdowns, it will extend the life of your vehicle, it also allows higher fuel efficiency, ensures you maintain your vehicles retail value as well as saving your money on future repair bills. We highly recommend having an interim service every six months or every 6000 miles (whichever comes first) to ensure your vehicle is roadworthy and safe for you to drive. Our interim services are perfect for drivers who use their vehicle for short, regular journeys or for those cars with higher than average mileage. •	Drain engine oil and refill. •	Interior and exterior lights. •	Front and rear windscreen wipers. •	Fuel lines, brake pipes, etc. Please note that as a standard feature of your service our technicians will need to remove your vehicle’s wheels so please ensure you bring along your locking wheel nuts. You will also need to bring your service book with you as our technicians will stamp your book. An unfilled boot is also advisable as we will inspect the tread depth and overall condition of your spare tyre. The next time your vehicle needs a service why not use our secure online booking system which allows you to pick a time that suits you, alternatively give us a call here at Bourne Car & Van Hire on 01778 393 888, so we can get your vehicle booked in.